I qualified as a yoga teacher in 2012 and have continued with my professional development ever since. I have achieved over 330 hours teacher training as recognised by the Yoga Alliance International and Sivananda International Vedanta. I have also taught over 4000 hours of face to face classes. However, yoga has been a part of my life for as long as I can remember. Having the feeling that the world is my oyster as a young person, Ive had a varied work history from head hunting Investment Bankers, Psychology Lecturer, Ski Resort Manager, Behaviour Change Coach, Youth Worker and now settled teaching Yoga for the last 7 years, here in Worcester. I feel my eclectic background has helped my teaching style and ability to help others with the many benefits of a regular yoga practise. Since being certified by the International Yoga Alliance, I can honestly say that I love going to work everyday and feel privileged at having the opportunity to teach yoga in Worcestershire. Yoga 7 is proud to be independently rated as offering the best yoga classes in Worcester since 2014 by the ‘3 Best Rated’. I was introduced to asana (postures) practise of yoga in the late 1970’s by my mother and, as a young girl aged 10, I remember the wonderful feelings I felt when practising them, in particular inversions. However, one of the things I love about yoga is that you can start at any age and the advantages are endless. It’s a lifestyle choice, and one that can drastically improve your quality of life, both physically, mentally and spiritually, whether you start at 8 or 80. None of the styles of yoga I had practised before becoming an Yoga Instructor had focused much on pranayama (breathing techniques). I have found the benefits of regular pranayama, especially the advanced breathing techniques such as Kapalabhati, to be astounding and I like to incorporate them into every class. Yoga for me is a spiritual practise that uses the physical to go beyond the physical. But is not religious and is not necessarily a spiritual practise for everyone. I tried meditation and mindfulness at various yoga and silent retreats in my 20’s but instead of achieving a peaceful or blissful state, I just became more frustrated. I was encouraged to try walking as a form of meditation and to continue practising yogic postures. I continued doing so alongside regular Yogic relaxation and meditation and Ive noticed an enormous difference in my personality, for example, being more patient and tolerant of others not to mention the physical benefits. Everyone is different, and open to things at various times and you can only find out what works for you by giving things a try. The more I practice yoga, the more I want to and I can’t imagine my life without it. 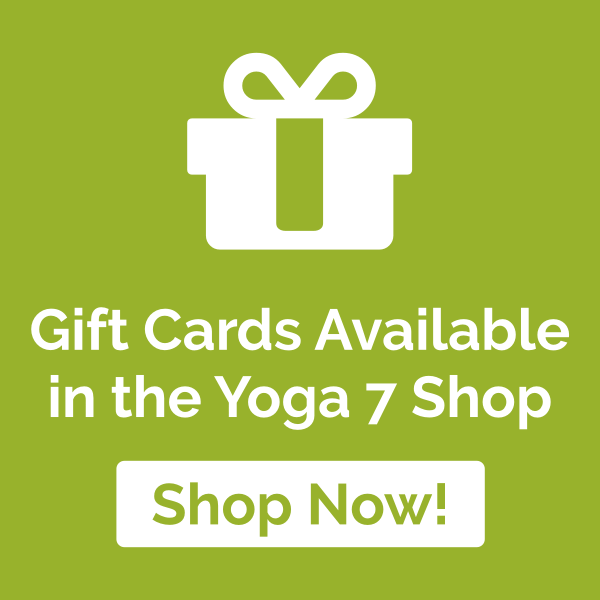 Why don’t you see what yoga at Yoga 7 can do for you and book your first class today.